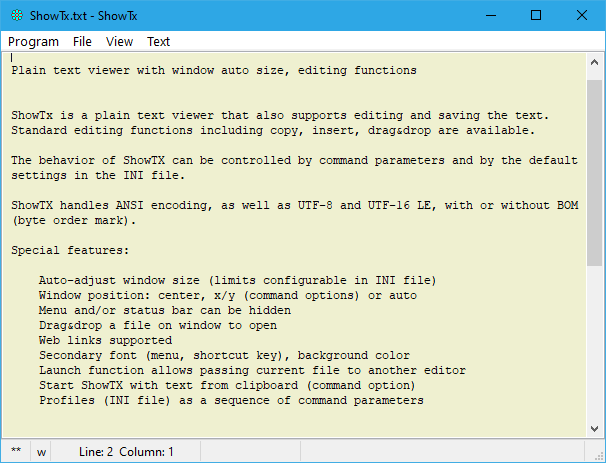 ShowTx is an auto-sizing plain text viewer that allows editing and saving the text. ShowTx is ideal for use in batch processes or as "Send To" application. Unicode. The INI file is stored in the program directory. No Registry entries.